Back in the day, washing dishes was different. You’d have to apply a little dishwashing soap, grab your trusty sponge, and desperately hope there weren’t any stubborn food stains to deal with. If there were, you could be sure that you’d be scrubbing for a good long while in front of the sink. Believe it or not, pre-rinsing is not a good move. Detergent needs fat and grease to latch onto. Simply scrape excess food off your dishes and place them in the dishwasher. When you use a dishwasher cleaner once every two months, you’ll find that rubber seals and other parts will stay intact longer. Dishwasher Magic, Affresh, and LemiShine are all highly recommended. A sure-fire way to make your dishwasher drying less effective is to load it with plastic items. The microscopic pores within plastic hold onto water. 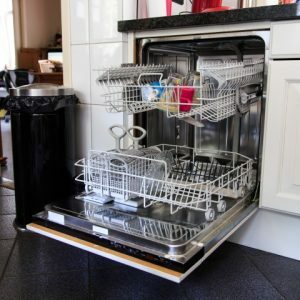 To keep your dishwasher performing at its peak, use rinse agents like Jet-Dry or Rinse Aid. The last thing you need to deal with is a dishwasher leak. To safeguard against leaks, make sure to call us today. The better news? 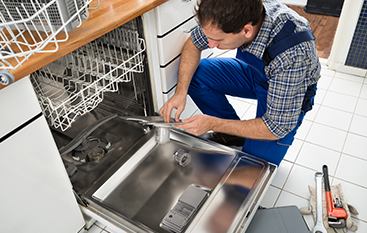 If you need service or maintenance on your dishwasher, the friendly professionals at Eastern Appliance Repair are here to help. Since 2010, we’ve serviced clients throughout Douglas Country. 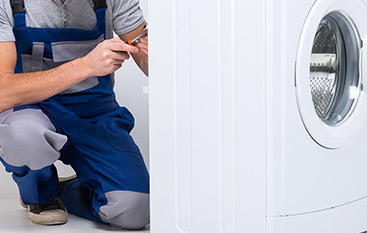 Our team is an LG Authorized Servicer, and we service almost every brand with all domestic and foreign models. 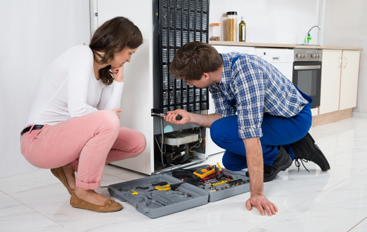 To schedule service, contact us online or by phone today.